Sony Xperia P will be launched in India on 26 May. 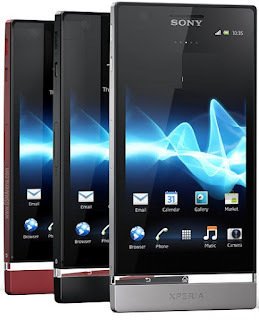 The expected price of Xperia P is 25,500. Running on Android Gingerbread OS, the phone is backed with dual-core1GHz processor and 1GB RAM. Elegantly designed, Sony Xperia U sports 4-inch display with Mobile Bravia Engine. It has 16GB internal storage with no option for memory expansion. The phone is PlayStation certified and hence, is a great for avid gamers. The phone provides 3D sound effects with xLoud and Clear Bass. So, enjoy the music more and more… 8MP camera, LED flash, VGA camera and HD video recording feature allow users to capture, record and do video chat. Sony Xperia P is truly a complete entertainer device. The more you play with your phone, the more you’ll love it! Sony Xperia P offers great connectivity and let you stay connected all the time. Browse the web and update status whenever you need and feel. The phone offers good 3G speed (HSUPA, 5.6 Mbps & HSDPA, 14.4 Mbps). Enjoy the freedom of Wi-Fi network, when it is available to you. Above all, the phone has NFC support, the latest connectivity monster. Xperia P is now available for pre-booking on many portals. Place the order to get the one in your hand!